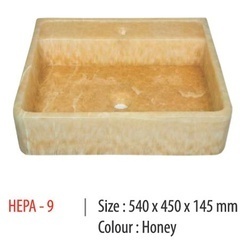 Providing you the best range of honey stone wash basin, cream stone wash basin, stone wash basin, tabletop stone wash basin, onyx stone wash basin and countertop stone wash basin with effective & timely delivery. 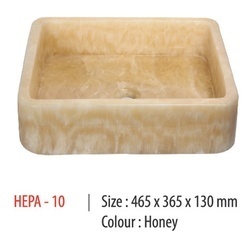 We are involved in offering a wide range of Honey Stone Wash Basin to our most valued clients. These are beautifully designed and easy for maintenance. They are available in varied shapes, sizes and finish to suit the needs and tastes of different customers. 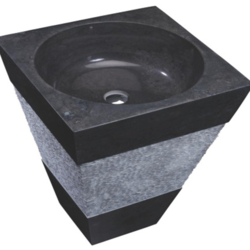 The offered basins are highly praised and preferred in the market. 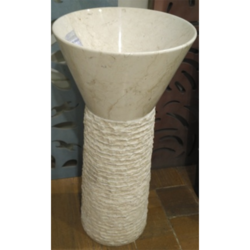 Dimension 43" x 43" x 90"
Helped by our vast industrial practice in this area, we are dedicated to offering an extensive collection of Cream Stone Wash Basin. 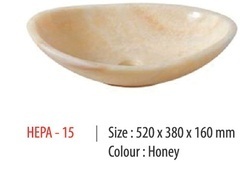 The offered washbasin is designed under the surveillance of trained professionals using high-grade material and advanced techniques in adherence to set industry norms. Dimension 45" x 45" x 90"